I have two large canvas gallery-wrapped prints, and 1 large framed print in this show, as well as 6 unframed 13×19 prints. All on the theme of “serenity in nature.” Much of my work is about the beauty of our region and the peace and beauty to be found in nature, so I was very happy to be asked to participate in this show. In my massage room (yes I am also a massage therapist!) 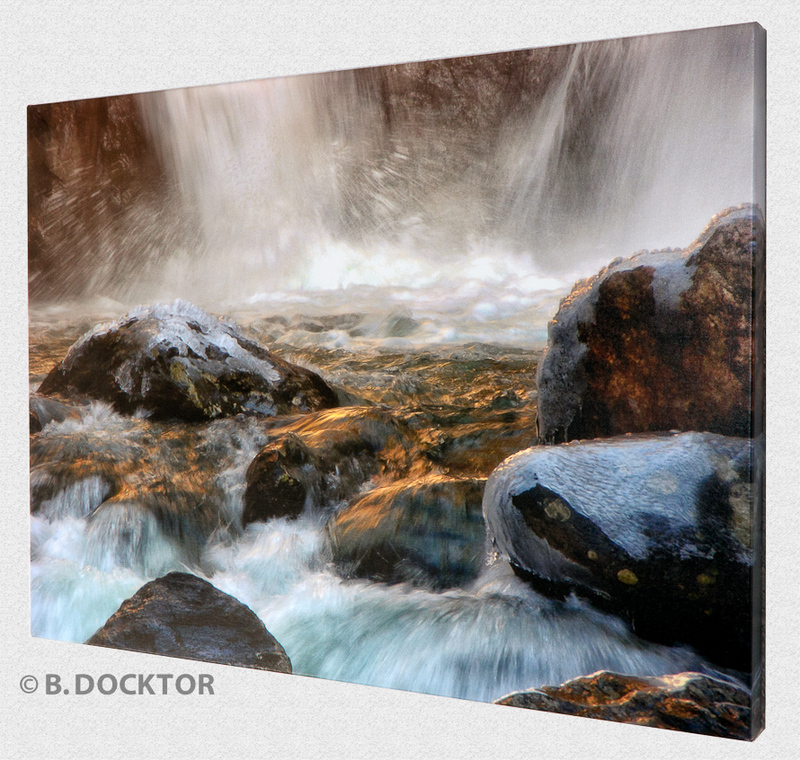 I have had 4 of my pictures of water from Bash Bish Falls and Cedar Brook on the wall for several years. I find that I never get tired of these images because the sense of movement in the water feels very alive. I have a body of work on my website that is extremely well suited for any space where peaceful, gorgeous, soothing images are called for. These pictures have a healing, spiritual quality perfect for home, workplace, hospitals, medical offices. For custom-installations please call me at 518-329-6239 for free on-site consultation.